Making your yard a Joy to come Home to! 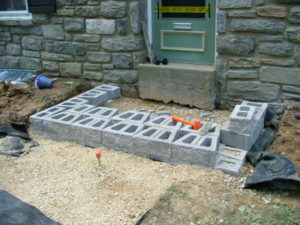 To see construction detail for these steps, click here Step Construction page. 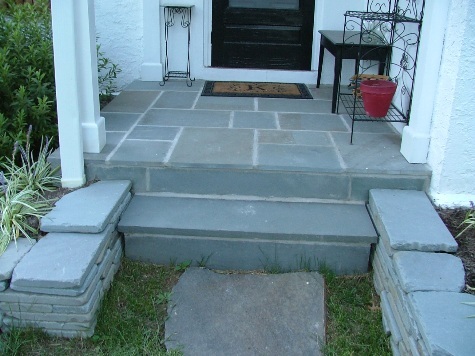 Flagstone and bluestone steps can be constructed with various different risers and various shades of gray. 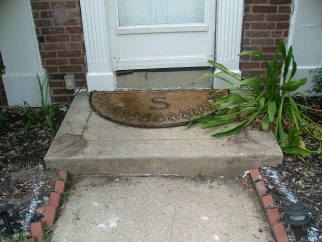 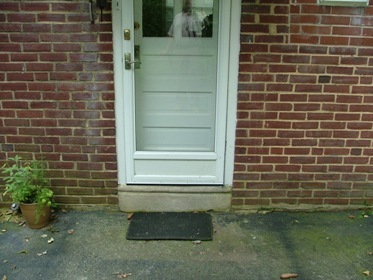 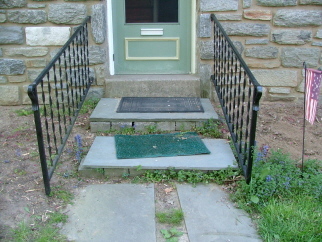 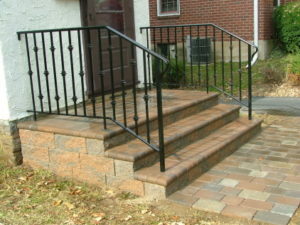 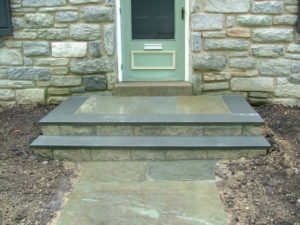 Flagstone / Bluestone masonry steps must be constructed on a concrete footer below the frost line. Flagstone or Bluestone treads could be used as treads on segmental retaining wall risers for a more economical flagstone or bluestone step. 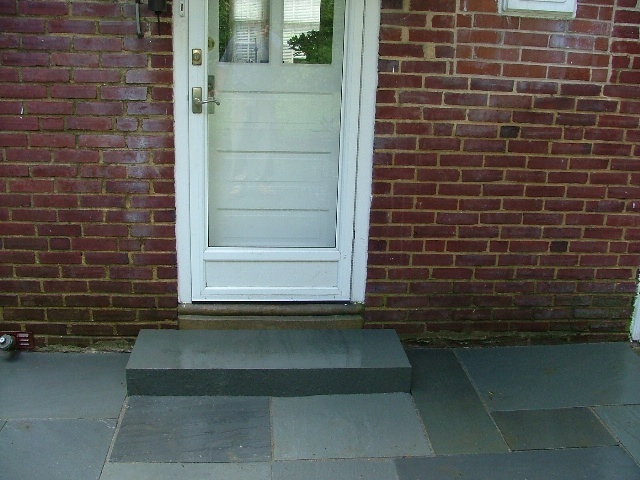 Flagstone or Bluestone could be used as a veneer over concrete steps that are in sound shape and can allow for the extra 2-inches that the flagstone or bluestone veneer will add. 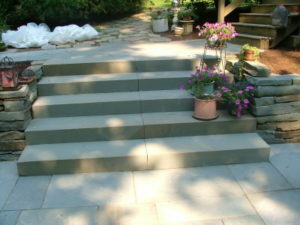 Solid one piece flagstone, bluestone, or other natural stone blocks or treads 6-in. 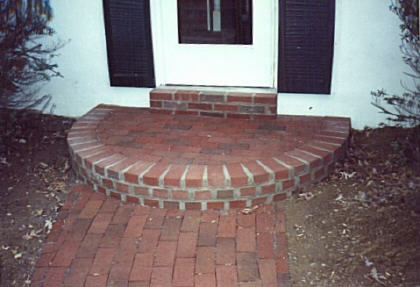 thick can be installed as complete steps. 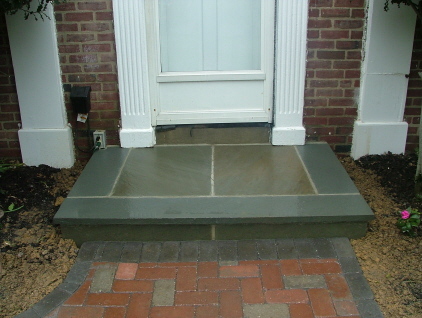 Flagstone and Bluestone can also be used inside tie riser as treads or landings inside the ties. 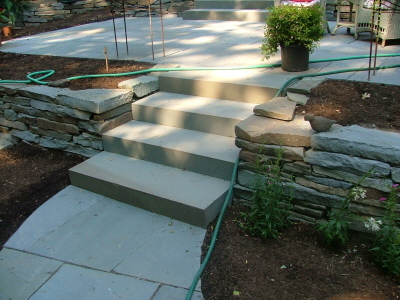 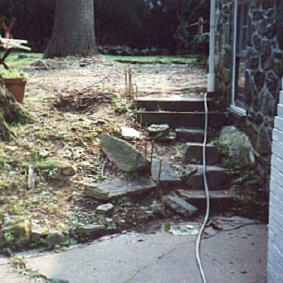 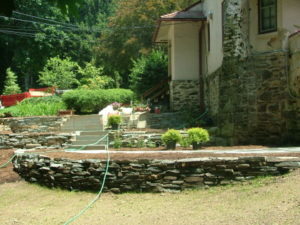 Shown below are flagstone / bluestone steps with solid treads mortared onto risers constructed with tumbled flagstone wall stone over cinder blocks and a concrete footer, and brick cheek walls. 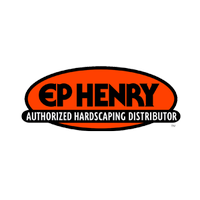 Flagstone / Bluestone masonry steps must be constructed on a concrete footer below the frost line which can add significantly to the cost, but constructed properly masonry steps can last for centuries. 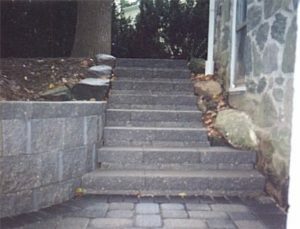 Flagstone / Bluestone treads could be used as treads on segmental retaining wall risers for a more economical bluestone step. 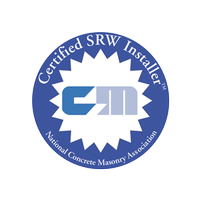 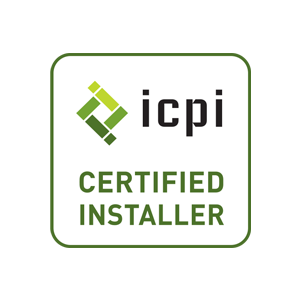 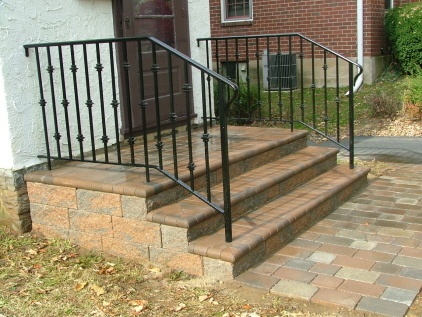 Steps are constructed on a 6-inch base of compacted crushed stone, and at least 8-inches of wall stones below grade, but they do not require a concrete foundation so they are more economical than masonry steps. 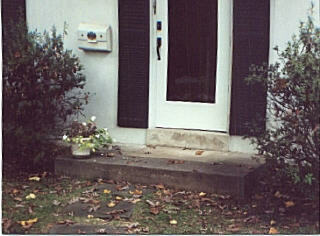 Flagstone / Bluestone treads are installed with Segmental retaining wall adhesive. 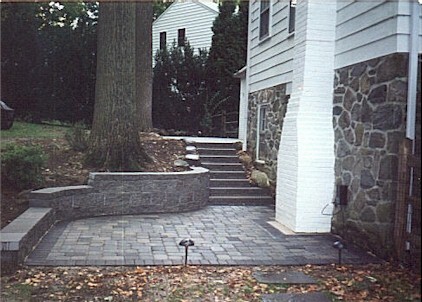 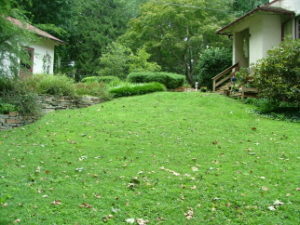 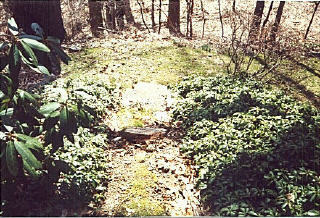 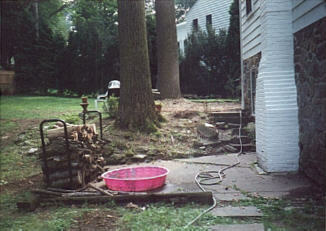 Flagstone, Bluestone, and Solid Stone Blocks 6-in. 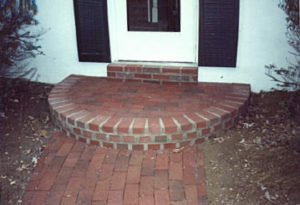 thick can be installed as complete steps. 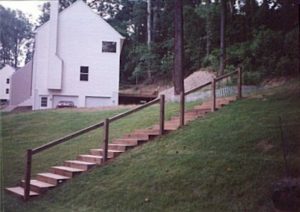 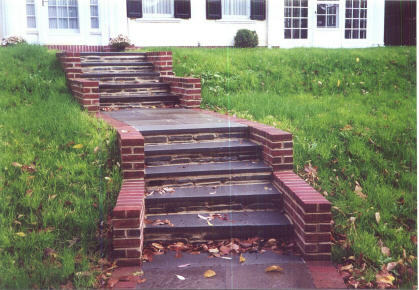 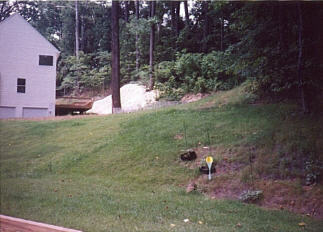 These treads in the two jobs below were installed with the same technique as Segmental Retaining wall steps. 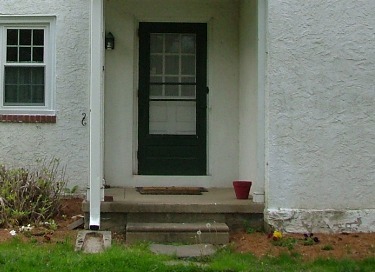 A 6-in. 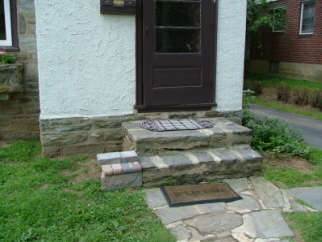 modified stone base was installed and compacted for each tread and 6-in. solid cinder blocks were installed below grade on this base. Flagstone / Bluestone treads 6-in. 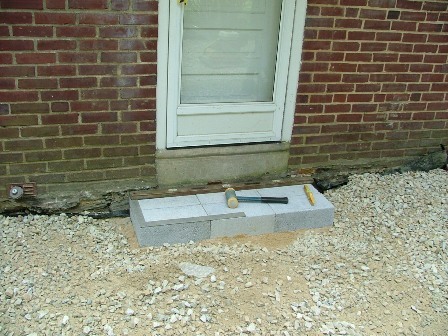 thick were installed on the blocks with retaining wall adhesive. 4-ft. 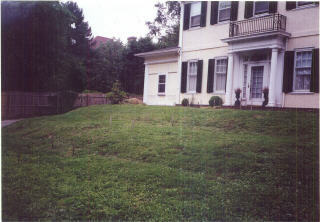 Wide Step with construction of base shown. 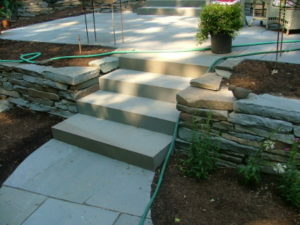 Flagstone and bluestone can be used as a veneer over concrete steps that are in sound shape and can allow for the extra 2-inches that the flagstone veneer will add. 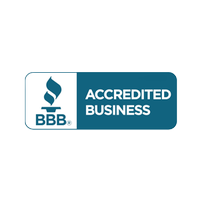 It is an economical way of incorporating bluestone into a project. Since the existing steps do not have to be removed and the footers are already in place they are more economical than other types of flagstone steps. 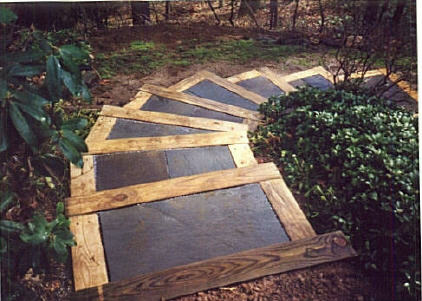 The veneer will add about 2-inches to the top and bottom step.